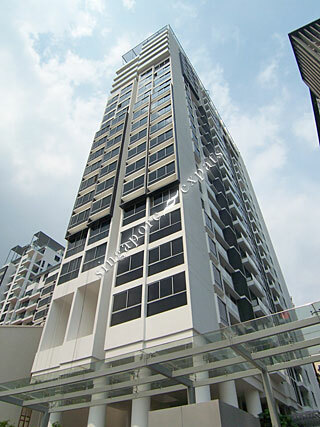 THE WHARF RESIDENCES is located at 7 - 15 TONG WATT ROAD in district 09 (Leonie Hill, Orchard, Oxley) of Singapore. THE WHARF RESIDENCES is a 999-year Leasehold Condo development consisting of 186 units. THE WHARF RESIDENCES is completed / TOP in 2012 (estimated), developed by LEONIE COURT PTE LTD (CAPITALAND). Educational institutions like CHATSWORTH INTERNATIONAL SCHOOL (ORCHARD), ISS ELEMENTARY & MIDDLE SCHOOL, INSWORLD INSTITUTE, RIVER VALLEY PRIMARY SCHOOL, ST. MARGARET'S PRIMARY SCHOOL and ANGLO-CHINESE SCHOOL (JUNIOR) are near to THE WHARF RESIDENCES. THE WHARF RESIDENCES is accessible via nearby FORT CANNING, SOMERSET and DHOBY GHAUT MRT Stations. Great location! Bistros nearby... relaxing place. Overall great "boutique" residence with swimming pool and bbq facilities. It is a nice place to stay in. Very convenient lifestyle living. Wonderful location with spacious bedrooms to boot... very near bistros, restaurants and shopping districts! a good place for expats , great finishing, alot of restaurant and pub.